Bienvenidos or Welcome to part two of my Sevilla trip. 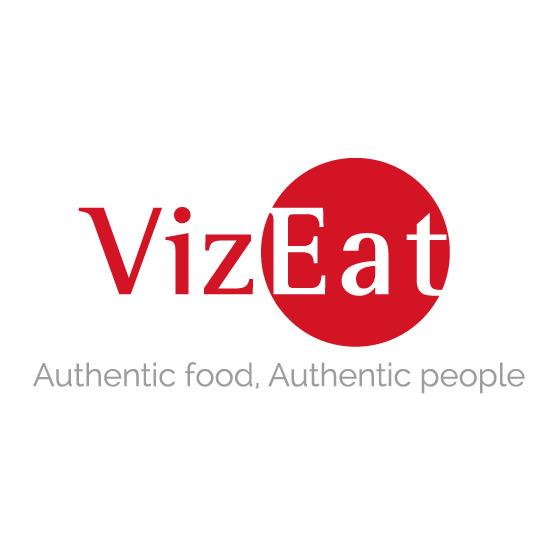 This post is a bit on the shorter end since it only involves a treat suitable after eating some of the delicious tapas described in my previous post. I would like to tell you about my favorite gelato place in Sevilla and the locals swear by it having the best ice cream in the entire city. They weren’t kidding. 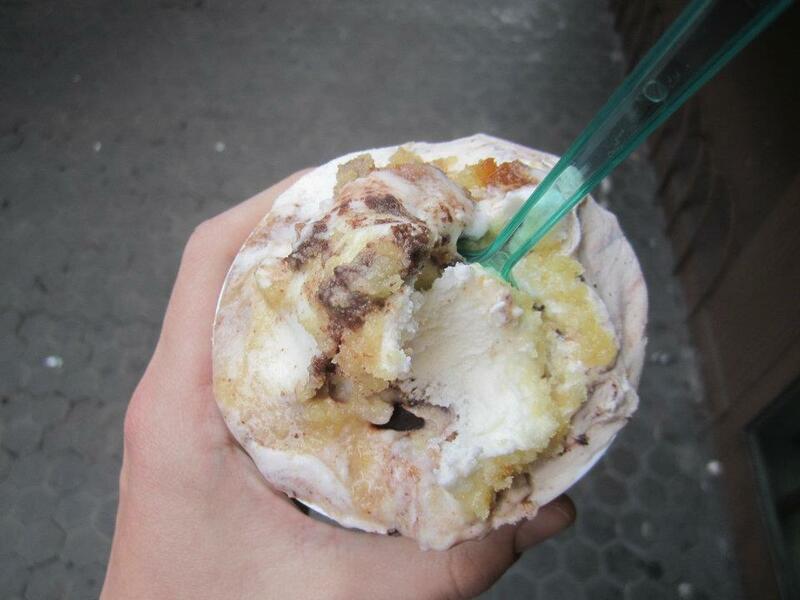 It is called Heladería Rayas and is located at Calle Almirante Apodaca 1. 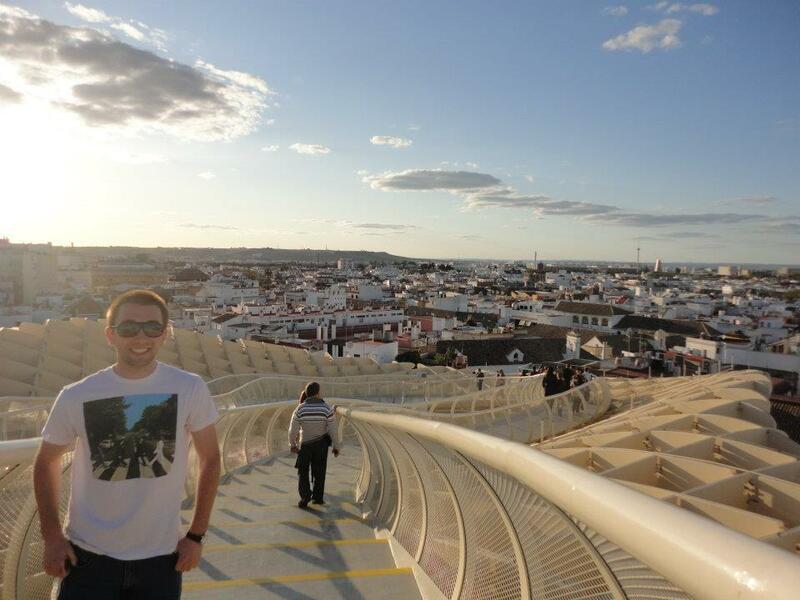 It is right before the Plaza de Encarnación which houses a spectacular sculpture that is called Las Setas (The Mushrooms) which you can also take an elevator to the top for spectacular views of the city. Plus, it is outside of the touristy city center which allows you to spend time with the local populace. I had passed by this heladería (ice cream shop) many times to and from the bus station, and it always seemed to be packed with people in the afternoon and night. Finally, one day, while seeing the city with my friend Brittney, I decided to see what all of the hubbub was about and try some. 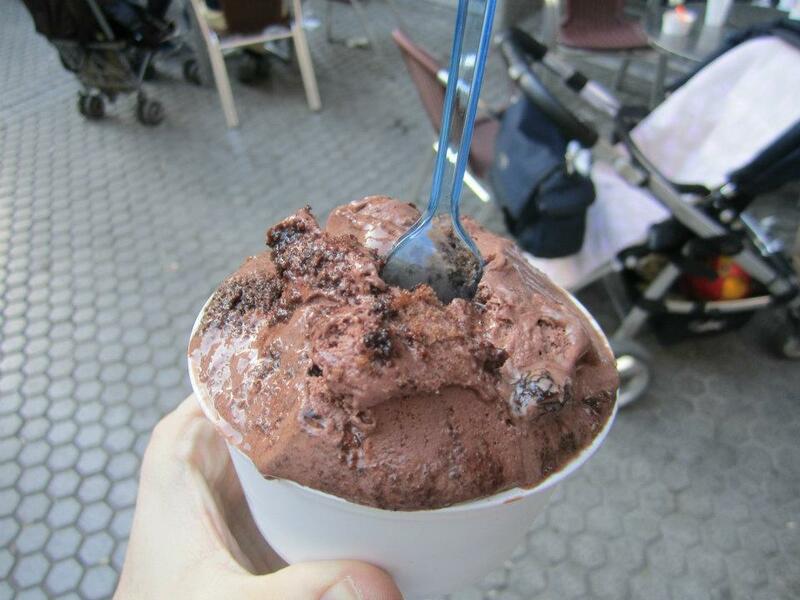 My first taste was a cup of the Sachertorte gelato. For those who are unaware of what a Sachertorte is, it is the signature cake of the Hotel Sacher in Vienna, Austria. I had a slice during a day trip to Vienna in 2009, and I was hooked. Strangely enough, the gelato managed to capture the delicate chocolately goodness that I had originally tasted one humid summer’s day in Austria. Not only was the typically rich but not overwhelming dark chocolate flavor there, but they managed to have the apricot jelly as well. Plus, this flavor came with its own Rayas twist as they put in some raisins to add to the overall texture of the gelato. Not only did Las Rayas nail the quality of the traditional of the Sachertorte, but they are very generous in terms of portions. So I assure you that you will be getting your money’s worth. The second time around, I ended up getting another cup of gelato, but I decided to be more daring and take advantage of their three flavor option that you can do when you buy a cone or cup. I ended up getting the beso de mujer (woman’s kiss) and the quemesabe (roughly translated as the “whatever”). With the former, I was expecting maybe just a peck on the cheek, but the flavor was more like a French kiss: intense, enjoyable, and left me all slobbery (great visual, I know). It was a mix of milk chocolate and hazelnut cream and pieces of actual hazelnut. If you love Nutella, this is the flavor for you. As for the quemesabe, it was like a potpourri of different flavors with milk chocolate, cinnamon, and lemon cake pieces all jammed together in some sort of satisfying yet chaotic gelato paradise. It was strange though how all of the elements seemed to maintain their own individual characters, especially the lemon cake pieces since they were light and airy instead of being crumbly or soggy. 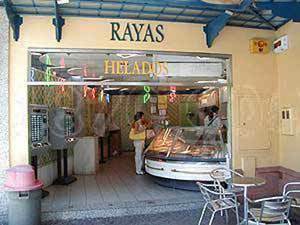 So if you’re ever in Sevilla and looking for a satisfying end to a meal or a tasty way to cool off while taking in the city, make your way down to Las Rayas Heladería.